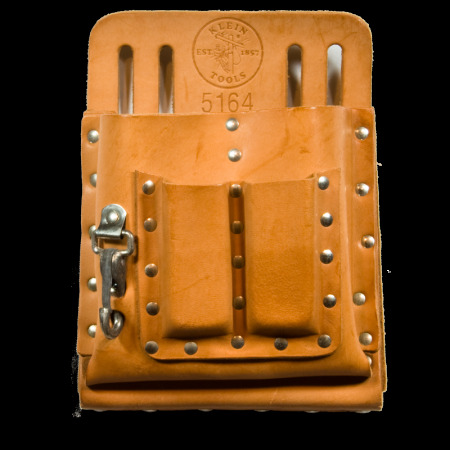 This multi-purpose leather pouch provides space for an extraordinary number of tools. It has four large, gusseted utility pockets, two pliers pockets, two screwdriver pockets and a knife snap. Made in the USA.